My Blog friends gave to me... Some beautiful hand dyed beauties. Good Morning Sew- Fantastic Readers. Need some Eye candy this Saturday Morning? I wanted to introduce you to a super talented friend of mine named Zarina. Zarina is from Klang Valley Malaysia, where she works as a network planner in a mobile operator. Like most of us, her crafting is done late at night, until the wee hours of the morning making beautiful hand dyed/painted fabrics and threads . Zarina stops by to tell us what inspires her talent. Zarina; What inspires me for all sorts of projects and celebrations are a whole bunch of colors coming together. Colors are the one that gives character to the fabric/project. Unfortunately, here in Malaysia we have colors but is not translated well in the fabric or yarn that I use for my craft. I am planning to continue making my own hand dyed/painted threads, HDTs. In addition, I am planning to design my own fabric (either dyeing or printing) to be used for my own quilts and to be shared with my fellow crafters. This beautiful talent is definitely shop worthy, and is now available in her brand new Etsy shop. Check out the talent behind some of the people behind her products in her flicker group here. Could you imagine the possibilities with beautiful hand dyed fabric and threads. This is the type of craft that brings projects to life and makes them instant keepsakes to treasure forever. Her work is just gorgeous. Those hand dyed are just luscious. I can really see them being used in art quilts. That autumn selection of threads is amazing. I have started to follow her. Thanks for the heads up on her blog. Happily, I follow Sew Fantastic. Her colors are sooo intense...so beautiful!! I left a comment on her blog (and I follow yours). The comments on her blog seem to be posting as anonymous or unverified. (Mine posted as unverified.) I've not had that happen elsewhere. Her colors ARE fabulous! Zarina's Garden Path HDT's and fabric are just lovely! Quilting is truly a world-wide passion. I think I'd make a wallhanging or maybe a special purse. Plus I follow your blog too <3! I have been a follower of your blog. Left a comment on Zarina's blog. I am a follower of Sew Fantastic!! 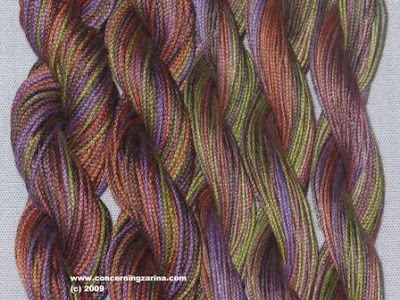 I left a comment at Zarina's blog, I just love all of the colors, "sew" vivid!! I have a button that link to your blog that talks about the 12 Days of Christams Giveaway! I really hope that counts!! Have a great night all!! Merry Christmas!! I stopped by Zarina's blog and left a comment (although it did not identify me). She does lovely work. I left a comment on her blog!!! What beautiful things!!! I follow your blog with bloglines. I left a comment at Zarina's blog! Delightful post & giveaway. I've visited Malaysia many times, so it is even more special to read this post. You ladies are very organized & talented. I'm inspired! Thanks for sharing! I follow with great delight! Wonderful hand dyed fabrics! I'm follower of Sew Fantastic. I tweeted the 12 days of Christmas giveaway. with the dyed fabric, I would make another beautiful quilt, probably a nice size for napping with. I would be so excited to have some of the dyed thread to quilt with it. I commented on Z's blog. I commented on Zarina's Blog. So excited! I'm a blog follower.